Click on the “Content management” book-shaped icon. Click on “Jobs”, then “Add Job”. 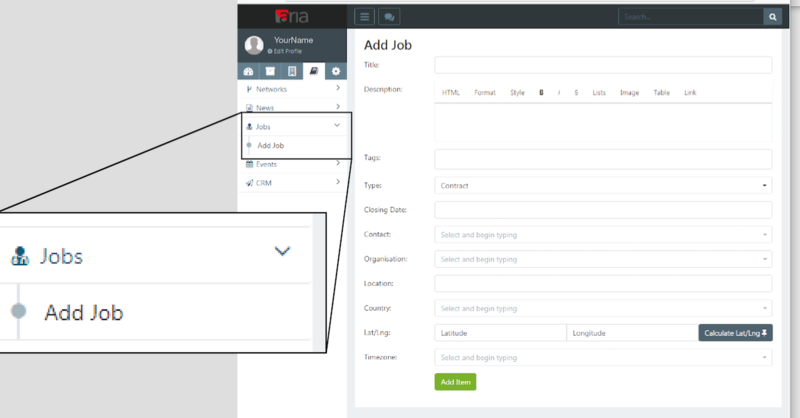 Fill in the Job description directly or copy and paste the news item details into the form. Hyperlinks in the description can be added with the “Link” option in the toolbar. Add tag words followed by commas. Select the type of position offered (Contract/Permanent/Other). 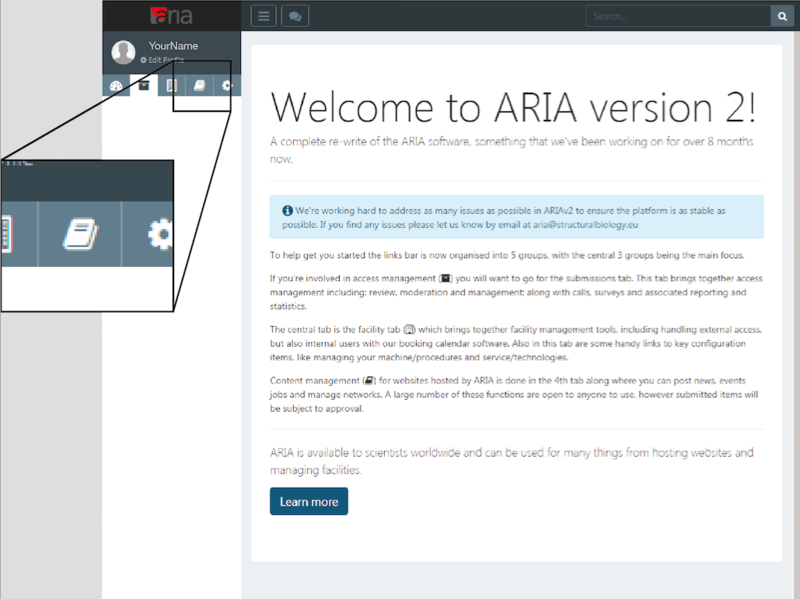 Add a contact with an ARIA account in the contact box. Enter the location and the country of the job into the relevant fields. Clicking “Calculate Lat/Lng” should populate the coordinate and Timezone fields. Verify that the time in the Closing Date corresponds to the Timezone input. Once everything is complete, click “Add Item”.